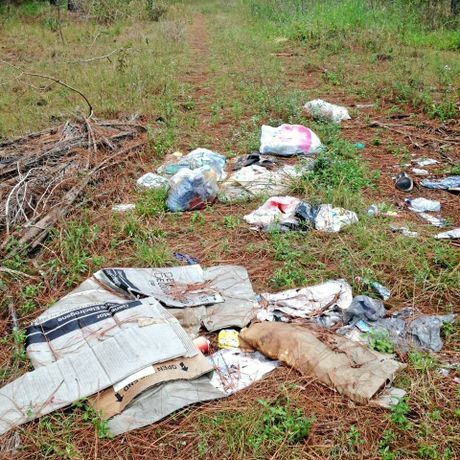 CANS, plastic bags, paper packaging, empty drink bottles and an old shoe were some of the items left strewn in the forest at Anderleigh in the latest act of illegal dumping discovered in the region. 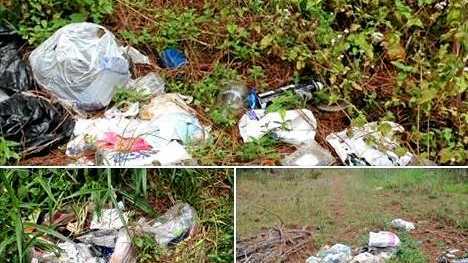 Tracy Frazier, who was four-wheel-driving with her family over the long weekend said she was disgusted when she came across the household rubbish dumped just off Anderleigh Rd; just one finding of many she has come across in bushland in the region. "Everywhere you go there seems to be people dumping stuff; from vegetation to household rubbish," Ms Frazier told The Gympie Times. "We are so lucky to have such a beautiful place to live and it is not acceptable for people to treat it as a dumping ground." Gympie region residents receive free disposal (domestic car, trailer, ute, van, ute towing trailer, light truck) at a number of Gympie council waste management facilities in the region. Charges apply for residents delivering waste in larger vehicles and to all commercial operators. The fed-up resident, who shared her photos on social media to get the message out there, believes laziness is behind the behaviour. "I think people are just going for the closest and easiest option if their bins are full." Rubbish has also been reportedly dumped at Mary's Creek and Widgee Crossing recently, with the contents including an old fridge. Jo Springall: I was at Mary's Creek this week and a whole fridge including contents was left in the car park. Foul. Ruins such a lovely spot.